It was a great day at Camp Timberlake today. The boys woke up to a breakfast of waffle sticks and bacon. They headed off to chapel and cabin cleanup, then went to their classes. Ren G. made his first pinch pot birdhouse in pottery, while the backpacking class excelled in learning about the LNT (Leave No Trace) principles. Garrett S. made some strong advances towards getting his silver in climbing class, an impressive feat. The cooking class made sausage biscuits with grape butter for a midday snack. It was pizza day at camp today, and it was announced that the Seminoles won last night’s evening activity, El Presidente! The running for the banner is up to either tribe still. Only time will tell who will be the winner, it could easily go either way with how great the tribes are this session. Cabin Cleanup went well for most cabins, where Stomper’s Knob and Greybeard tied for first place, both with a very impressive 9.0 score! However, there’s still plenty of time for other cabins to pull together and win the Golden Plunger at the end of the session. After a short rest time, there was free time. The riflery range was open to campers, as was the climbing tower. Dylan W. worked towards his bronze bar in Riflery, attaining his first bronze-level grouping! Sanders H. is working diligently towards his bronze in Riflery as well, and Daniel M., Josef M., and Justus H. showed much skill and improvement in Mountain Biking, especially with the core concepts of braking, accelerating down hills, and biking up inclines. Rocketry had a blast today, with many people in the class finishing their rockets or getting close. The guys finished off the day with Little Chief and Counselor Hunt as the evening activity. Little Chief is a special ceremony that the whole camp participates in. Campers are rewarded for rank advancements and receive commendations for leadership within their cabins. It is a serious occasion, and is normally followed by a fun evening activity to balance things out. In tonight’s case, the camp played Counselor Hunt, where all the counselors hide around camp. 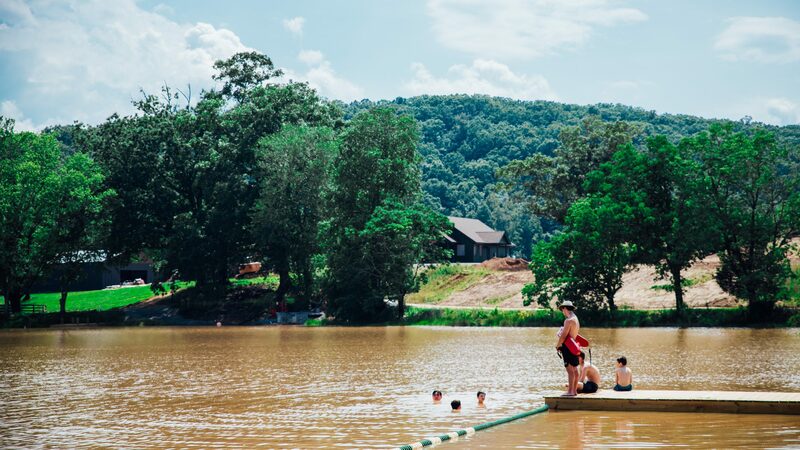 When they get caught by campers, they are pushed into the lake by the camper who found them, and the tribe with the most counselors found wins the game. It is a competitive but extremely fun game to play. The boys were tired after all the events today, and went back to their cabins to clean up and head to bed. A clean cabin is a happy cabinWhat is Little Chief?